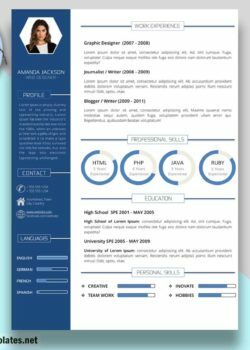 You have been searching for a way to construct a resume that best describes who you are? 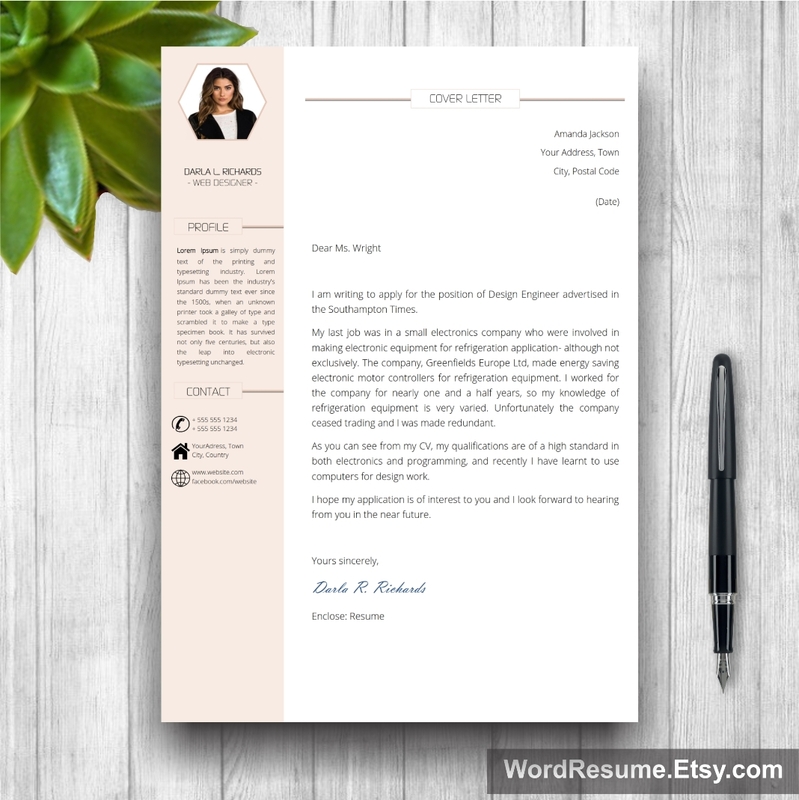 We present to you Resume Template With Photo and a Cover Letter made in MS Word to match it! 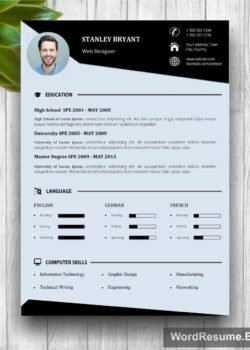 This resume sample requires minimalistic updates since it is approved by most employers. It is contemporary and includes a place for your photograph which makes it personal and connects you with the recruiter. 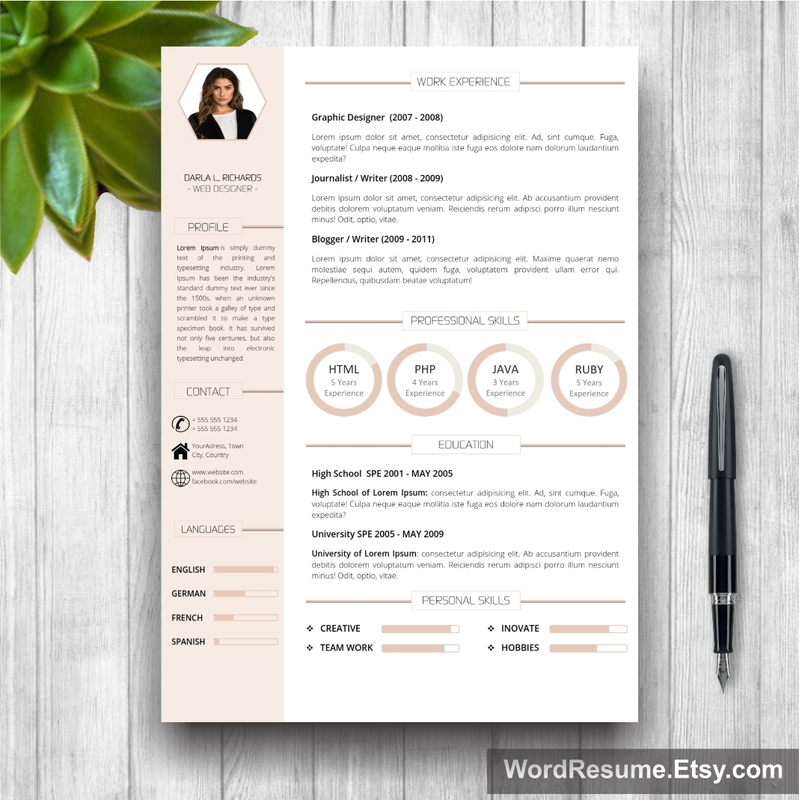 Carefully designed layout leaves a lasting impression even before the content of the resume is read and potential employers enjoy its readability. 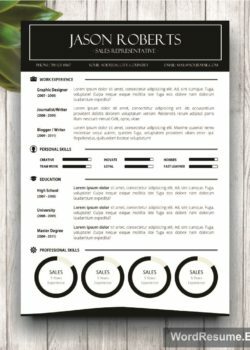 It contains plenty of space ready to be filled with your rich professional experience and advanced skills, so consider this an advantage to help you get your dream job. 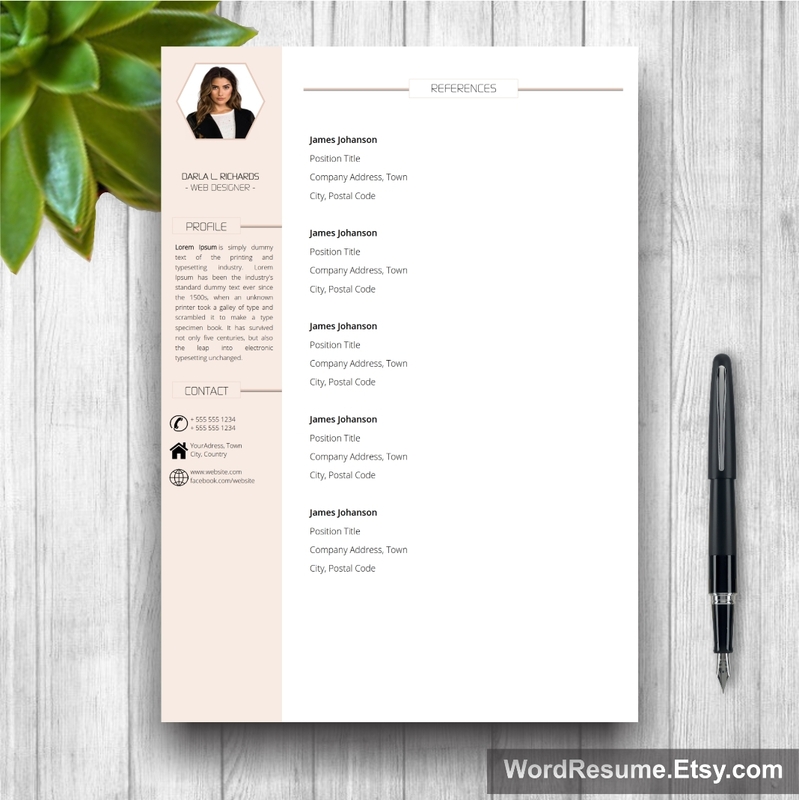 With our stylish Resume Template Wit,h Photo nothing is out of reach. We aim for sophistication and elegance, and once you let this curiculum vitae into the world, sit back and watch the magic happen. – A Word file with links to all the FREE fonts used in the template.